From the project Open Jam, Brother Jon Band’s single Bobby’s Blues introduces the mellow groove and blues-rock passion of the band in a subtly stylish and quickly enjoyable manner. Within less than a four and a half minute time-frame, the song progresses from the gentle rhythm and soul of a spacious, minimalist performance, to something briefly soaked in rock swagger and driven high by the electronic distortion of a creatively free guitar solo. When the drop hits, the bass falls into place, the mood intensifies in a mighty way, offering up that classic, nostalgic, thirst-quenching kick to really carry you through the moment. From the opening few bars this feels very much like a live performance. The studio quality is there to let you turn things up loud, but by all accounts you can hear every intricacy and detail that makes this what it is. The band’s leading vocalist delivers these initially short snippets of lyricism, letting the tone of his voice and the nature of his performance intrigue and draw you in gradually, step by step. The whole thing feels very natural, the evolution allows new elements to step into the spotlight at only the right moments, never feeling forceful or there simply to show off. You get the impression this is exactly what the band would be doing whether you were listening or not, which, although it may seem like an obvious thing to say, is genuinely not always the case these days. Many people play purely with the hope of reaching wider acclaim. In this case, the music comes first, the expression, the skill, the soul. As you hear the gentleness of the introduction mutate into the colour and chaos of the later section, you appreciate this even more-so. They do what they do, they do it well, and their leading vocalist has something immediately characterful and appealing about his voice. Open Jam is definitely a project to check out, as is a live show from Brother Jon Band should the opportunity arise. 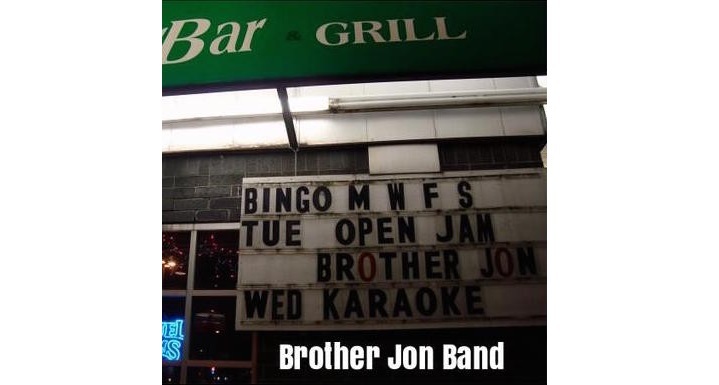 Find & follow Brother Jon Band on Facebook & Instagram. Visit their Website for more information.